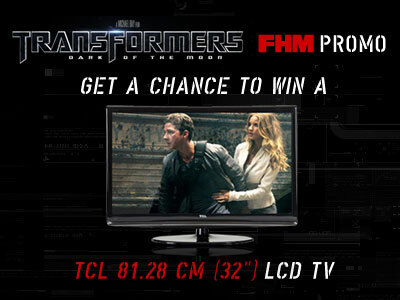 Get a Chance to Win a 32" TV! Before we finally leave behind the wonderful month of July, let's cement its goodness with... a promo. After all, July had be a funtastic month! Witness: Sam Pinto as the new number 1, FHM 100 Sexiest, Eula Valdes on the cover, Transformers—you obviously get the drift. Speaking of Transformers, United International Pictures is giving away a 32" tv set just 'cause Transformers Dark of the Moon was such a huge hit! Know your FHM 100 Sexiest history, know your Transformers ladies, and know what they have in common and you just might take this telly home! The promo runs from today until noon of August 12. Check out the official promo page here.